PARIS (Reuters) -- Renault may sign an agreement in early May to build a factory in Algeria, an industrial source told Reuters. "In Algeria, the signature on an agreement could come in early May," the source said Friday, on condition of anonymity, citing the sensitive nature of the automaker's months-long intermittent talks with the Algerian government. CEO Carlos Ghosn had confirmed the ongoing discussions on Feb. 9 on the sidelines of a ceremony to inaugurate a plant in neighboring Morocco. A Renault spokeswoman declined to comment beyond confirming that talks on the plant were still underway. Trade restrictions mean that the newly opened Moroccan plant cannot supply the Algerian auto market, which amounted to some 400,000 vehicles last year. French online newspaper La Tribune reported on Friday that the talks were stalling over government demands concerning the location of the proposed plant and the marketing of vehicles. Renault, which generates over half its sales in Europe, is trying to boost its exposure to emerging markets as it attempts to try and reduce its reliance on sluggish European markets, troubled by ongoing economic problems. On Thursday, the automaker announced revenue in the first quarter decreased 9 percent to 9.54 billion euros ($12.6 billion) from a year earlier. 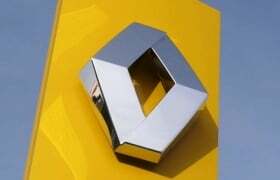 Sales volumes fell 7.9 percent to 638,498 in the same period, Renault said.